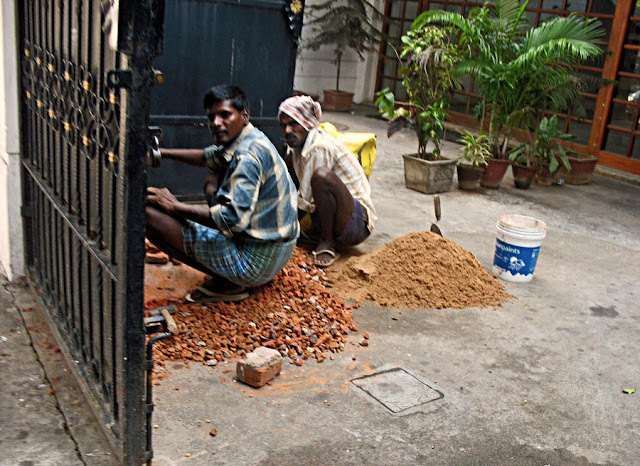 These are images of masons at work in India. 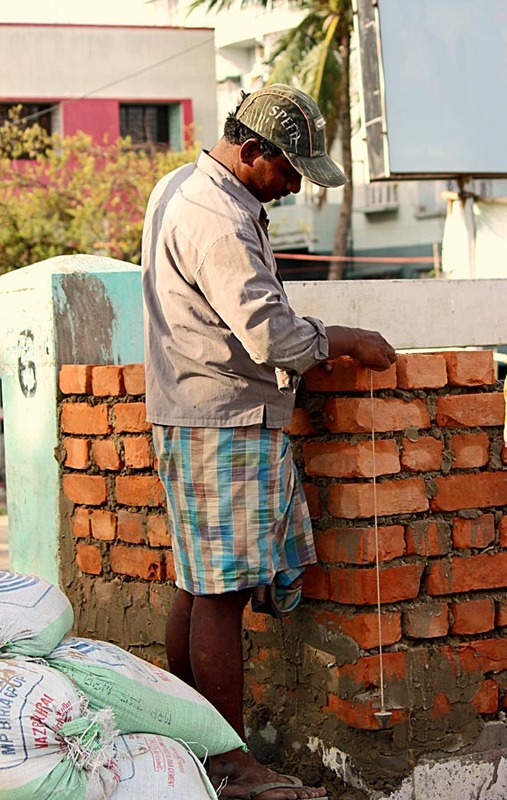 Here the worker is measuring the brick which he has just laid on a wall. 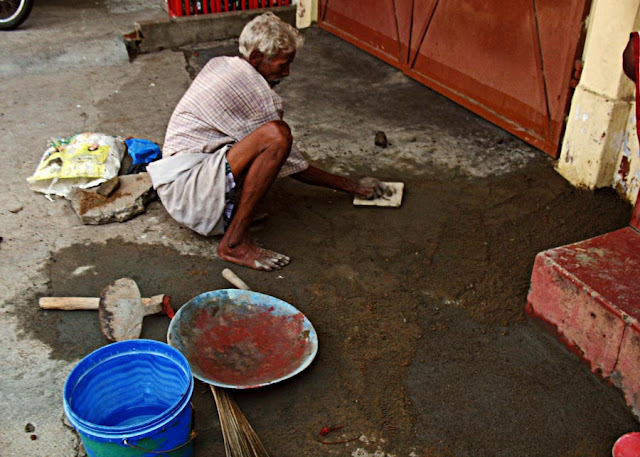 An old mason working with cement. 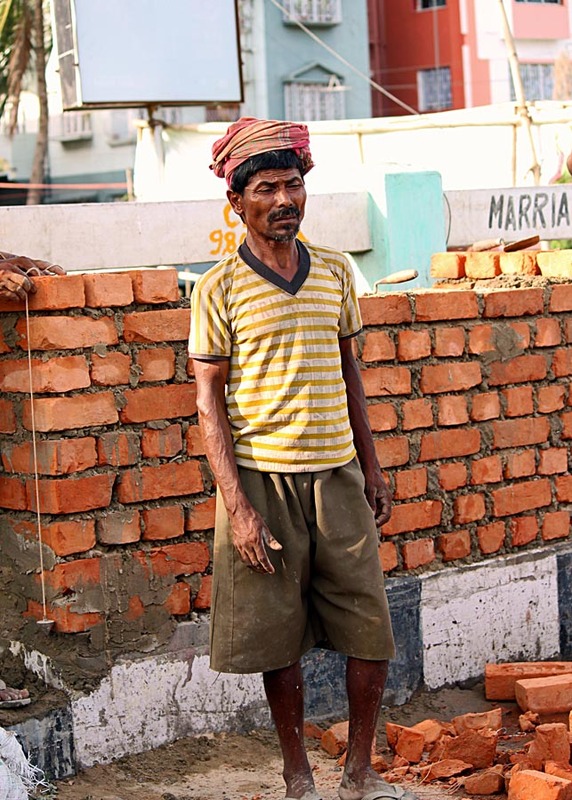 A mason taking a break from work. He is squinting his eyes to keep out the blazing sun on a hot day.